Corn is a great staple for most restaurants. The restaurant supply superstore stocks the best wholesale Canned Corn available for restaurants and foodservice.Serve cream corn as a side dish in your restaurant. It is very economical. Canned Fancy Grade Whole Kernal Corn 75 Oz. Del Monte White Cream Corn Vegetable - 14.75 Oz. Pepsico Masa Harina Corn - 4.4 Lb. Pepsico Quaker Meal Yellow Enriched Corn - 25 Lb. Seneca Libbys Fancy Corn Vaccum Pack 75 Oz. Seneca Libbys Fancy Cream Corn - 15.5 Oz. Seneca Libbys Whole Kernel Corn - 15.5 Oz. Stratas Foods Mozolo Corn Oil - 2.5 Gal. Stratas Foods Mozolo Corn Oil - 1 Gal. 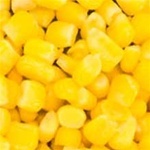 Whole Kernal Golden Supersweet Corn - 15.25 oz. Vegetable Gold Creamed Corn - 14.75 oz. Vegetable Whole Kernels Corn Easy Open - 8.75 oz. Thick It Puree Sweet Corn - 15 Oz. Narrow Base Whole Kernal Golden Supersweet Corn - 106 oz. Green Giant Canned Vegetables Sweet Corn Whole Kernel - 15.25 Oz. Corn Flavor Label - 1.25 in. x 2 in. Corn for healthy restaurant cooking.